Send Diwali gifts online to Ahmedabad and surprise the most humble people on the Earth on such an auspicious day. With Lakshmi and Ganesh idols, make your loved ones feel blessed. Let them begin their Hindu year with the blessings of the gods. 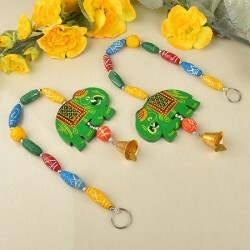 Buy Diwali gifts now! Diwali is known for bringing happiness and joy and without exchanging the gifts the festivities of Diwali are considered as incomplete. 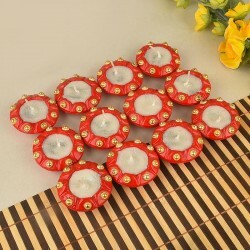 So, to make you enjoy this occasion at its best, we bring to you the delightful collection of Diwali gifts online so that you can send them to this beautiful city called Ahmedabad. 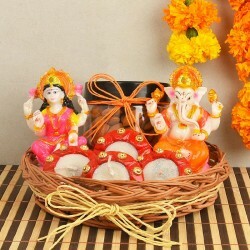 Send Diwali gifts to Ahmedabad online to save time and money with amazing offers that promise reasonable rates and high quality of gifts on time to bring you joy and pleasure on to the festive mood with MyFlowerTree. The festival of light, that is, Diwali cannot achieve fulfilment without the participation of loved ones that is, family and friends. But if you have loved ones residing in the city of Ahmedabad, who can't pay you a visit this Diwali and vice versa, then you are now granted with the privilege to send Diwali gifts to Ahmedabad with love. 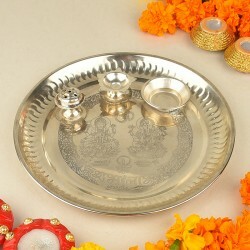 The online portal of our company provides you with the privilege to buy Diwali gifts online and sent to Ahmedabad. 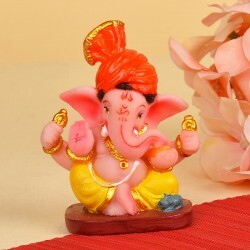 Explore our mind-blowing collection such as dry fruit hampers, chocolate hampers, Ganesha idols, home décor, greeting cards, candles, Lakshmi idols, diyas and send amazing surprises to your family or friends in Ahmedabad. Every year, people take caution to give different gifts to their family and friends in order to avoid repetition. Unique Diwali gift hampers are always worthy and satisfying. They make the day even more special and memorable. That is why; we have a wide range of personalised Diwali gifts delivery in Ahmedabad, catering to the tastes, preferences and budget of every individual. 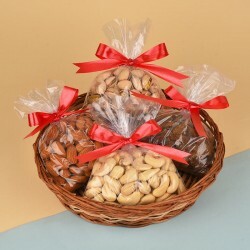 Moreover, our combo sets never fail to grab your attention as well as surprise your recipient. 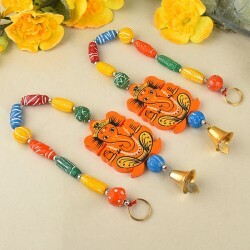 Pick the exotic festive combo and show your respect and concern for your loved one. This wonderful range will surely be loved by you and is perfect to be sent in this beautiful city. So, without giving a second thought, buy and send Diwali gifts to Ahmedabad and make this Diwali more enjoyable and special for your family or friends. 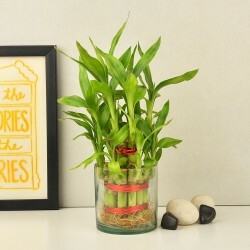 MyFlowerTree have expanded its reach to both national and international destinations too. Now you can send Diwali gifts to Ahmedabad with a simple click. All you have to do is place your order online and we will make sure that the gifts get delivered to you at your doorstep. 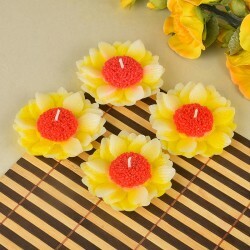 There are all possible reasons why you should choose us for Diwali gifts delivery in Ahmedabad. As mentioned earlier, we have the best Diwali gifts Ahmedabad can ever offer you. We have a large network and a well-streamlined logistics making our delivery systems remarkable. Whether you need midnight delivery or same delivery of gifts, we can serve you. 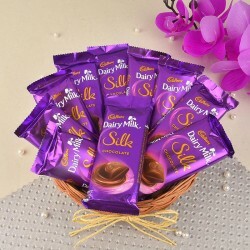 Besides, we can deliver your gift at most places in and around Ahmedabad – Baroda, Ahmedabad Cantonment, Rajkot, Memnagar, Makarba and Shahibaug to name a few. Since Each Gifts carries joy and zeal of Diwali, so we make sure that this is done with absolute care and we hope our quick delivery of gifts items will surely makes you satisfied!! Products in this category have been rated 4.6 out of 5 based on 140 reviews.